My favorite thing about wine (besides drinking it) is that there’s always more to learn. Just ask to see the stack of note cards of anyone who’s studied for the Master Sommelier program – I’m sure they’d be more than happy to show you. 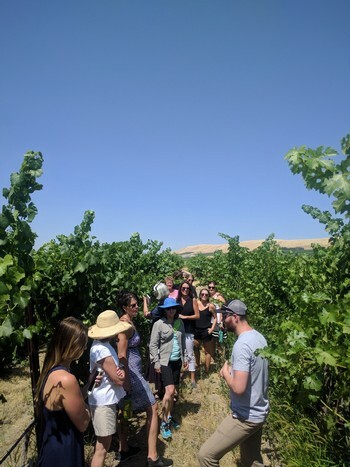 It seems that every time I’m back in the winery or on Red Mountain I pick up more tidbits of information, and this most recent staff vineyard trip was no exception. 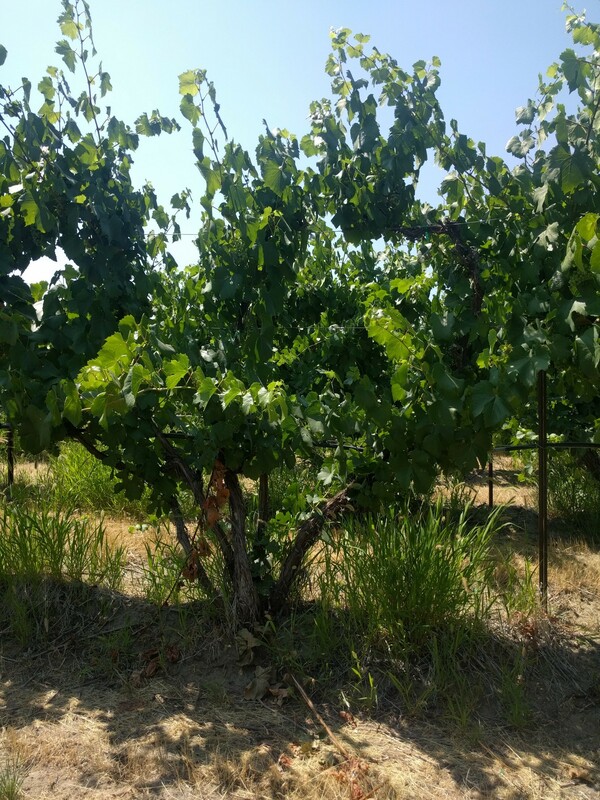 Some of the original vines at Kiona vineyards, the oldest on Red Mountain, were trained to look like a wild tree instead of neatly separating the cordons out to the side for easy management. As JJ explained to us, there was reliance on trial and error back then instead of how-to guides or the internet. Older vine wines gain complexity, in part, because of variance from the mean. When the vines are first planted in the ground the plants are essentially all identical. But as a block grows older, and the soil, irrigation, sunlight and heat exposure, etc… are all slightly different for each plant causing them to mature differently and bear unique fruit. I’ve always heard that Red Mountain receives the most sunlight of any growing region in the state, but personally hadn’t sought out the evidence. Thanks to the people at WSU Viticulture and Enology and their work on growing degree days of different Washington AVA’s I can now say this with confidence. Here’s a link for the full description – GDD units = (the average daily Fahrenheit temperature) – 50, all added up during the “growing season” April 1 to October 31 to get the cumulative measure. Not only is it the month where we celebrate club members new and old, but it is also the month where we put focus on staff training! It’s important to us that our staff is always up to date on the latest things happening on Red Mountain, and with Fidelitas. 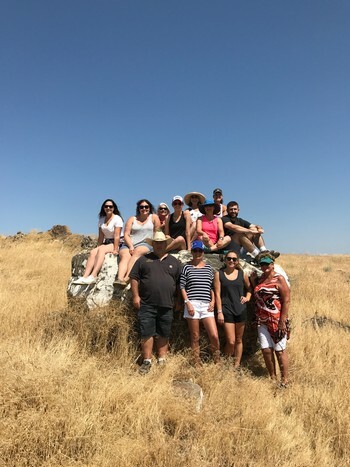 This past week Team Red Mountain and Team Woodinville got together at the winery to spend a few days exploring vineyards, listening to some Red Mountain legends and of course, try some amazing wine. We sat with Charlie in our tasting room overlooking our estate vineyard. 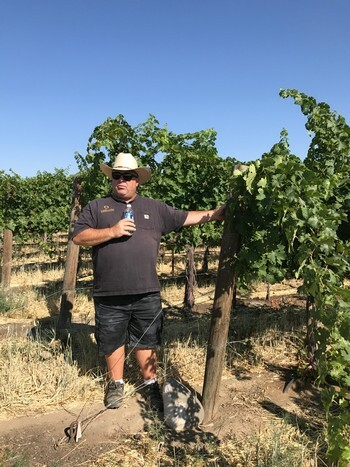 He discussed his own history and how he started on Red Mountain, clones in our vineyards, and what the future holds for Fidelitas! From there, we met with JJ Williams down at Kiona. What better way to get some history lessons on Red Mountain than listening to the OG’s themselves! It was fascinating to tour some of the oldest vineyards on the mountain while listening to the family history. If you are planning a trip, this stop is a must. He even had us taste some wine. Darn! To continue our educational tour we headed to Wine Boss. The place where all the wine magic happens! 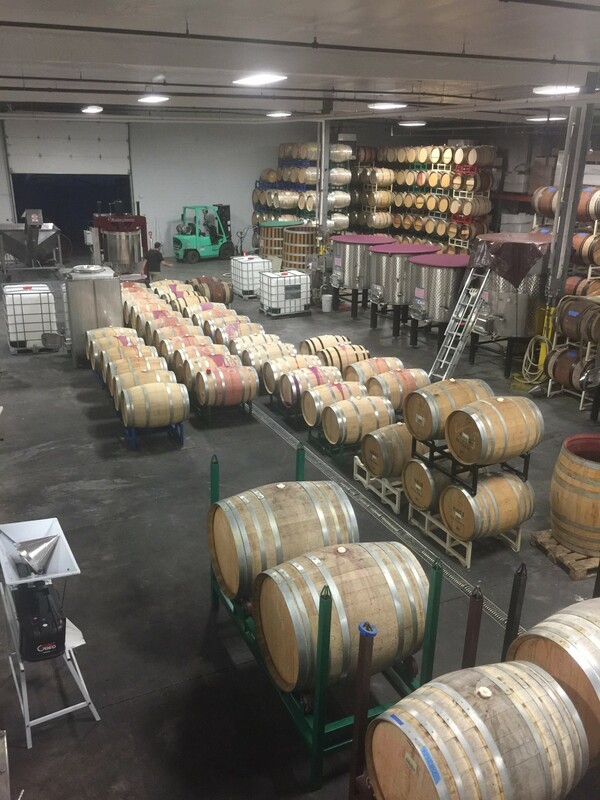 It’s always great to get a refresher on the process of wine making. It’s also fun to listen to the team nerd out over things like Sauvignon Blanc barrels and cross flow filtration. Charlie, Mitch, and Hillary then had us sit down and go through a Clonal Cabernet Tasting. Let me tell you, it got us excited for future Fidelitas Cabernet! To end the day we all got together on the Fidelitas patio, ate burgers and drank some of our favorite wines. Including future releases! On this day, everyone hopped into a 15-passenger van with Charlie to tour some of our favorite vineyards. Fidelitas Estate, Blackwood Canyon, The Canyons, Shaw, Red Heaven, Quintessence, and Ciel du Cheval just to name a few. Seeing the beautiful locations and hearing Charlie speak just confirmed why Red Mountain is so special. What better way to end Staff Vineyard Tours than eat some BBQ and drink the new 2014 Canyons Vineyard Malbec? That’s exactly what we did! As a perk of your Fidelitas Club Membership you receive exclusive and priority access to these events. Join now to attend Summer in the City this August in Seattle! Fidelitas is faithful, loyal, and true to our members and we want to show our appreciation for our Club members, this July during Team Fidelitas Month. What is Team Fidelitas Month? We always celebrate and appreciate our members but this is a month where we celebrate ALL Members new and old. Just today, I had the opportunity to visit with a faithful, loyal, and true club member of nearly 10 years who is visiting us from Tennessee. It’s always such a pleasure to share the afternoon and tasting room with our local members too! I also was able to chat with some club members who recently joined and I hadn’t had the pleasure of helping them, we recognized one another but I hadn’t helped them in the past, but not today! We were both thrilled to have the opportunity to get to know one another. These are the little things that we appreciate, getting to know our members on a personal level and going the extra mile to make sure they feel appreciated. If you are a current club member you may have received a special survey from our club team. So often our members get to hear from us but we always love to hear from you! This is your chance to tell us what you love most about Fidelitas. Is it the wines? The people? Charlie? Or, everything! The list goes on and on, do you wish to see more events, user choice options, or do you love free shipping. 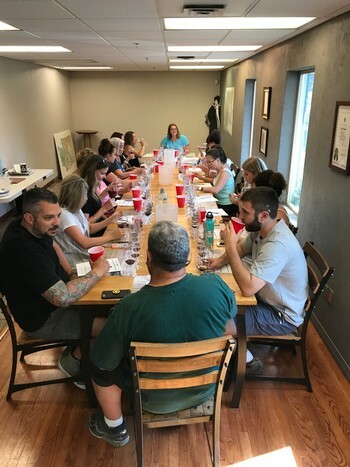 Sit down with a glass of your favorite Fidelitas wine, this time of year I am reaching for Optu White and fill out the survey that we are offering all month long. The best part is you are entered in a drawing to win one of our lovely Fidelitas logo picnic blankets. If you haven’t taken the time to join our wine club yet, what are you waiting for? This is the perfect time! We are offering all new members a logo wine key, great for opening your first bottle from your upcoming members only wines that will be released in the fall. All current members who refer their friends to the wine club will receive a $25 referral credit to use on their next wine purchase of a $100 or more. Upgrading your club membership is easy! 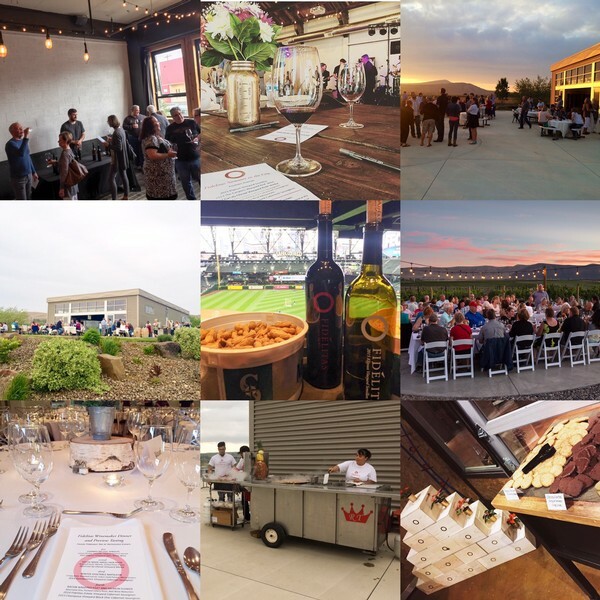 Are you a faithful, loyal, true member who has recently visited the tasting room with your friends and you really want those additional complimentary tastings, then upgrade to our Optu level and receive 4 complimentary tasting per visit. The other benefit to our Optu Club is added 20% off all purchases, 25% off all mixed cases and you receive more wine, which is perfect for entertaining or cellaring! We want everyone to take full advantage of our wine club so stop in today or contact a member of our stellar Wine Club Concierge team and we will get it taken care of!